Yesterday we located Mangku Gede Wayan Artha, the third of our subjects, and the easiest of all to find. 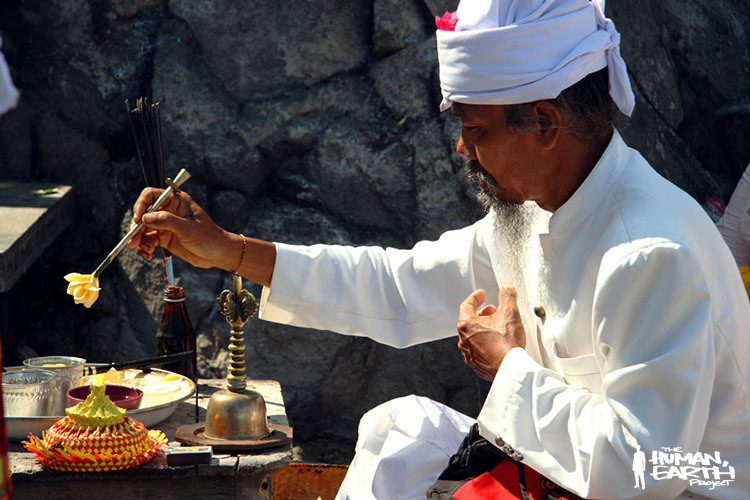 Mangku Gede is a Hindu priest and, as it turns out, a very highly esteemed figure on that part of the Lombok coast. In fact, Mangku Gede is not a name, but a title. Mangku is a title given to a Hindu priest, and Mangku Gede is a name given to the head priest. He’s been Mangku for twenty years, and became Mangku Gede for only five days before our arrival. It’s a position that confers much honour, and the transition was marked with great ceremony in his village temple. Our last search took three days; this one took only three minutes. The first person to whom we showed Mangku Gede’s portrait gave us his name and told us in which village he could be found. It was that simple. It was a great honour to have Mangku Gede return to the temple in which I’d first photographed him to perform a special puja ritual for us which we captured for our documentary. We haven’t yet given up on these young men, either. Yesterday we approached the good people at Lombok TV, the most popular television network on the island, and gave them a copy of the photograph. They’ve agreed to show it on their most popular program – Sasak Tulen – every night this week, while we await the response from the people of Lombok. Today we rode further north to Gunung Rinjani, the 3,726 metre volcano that dominates the northern half of the island. 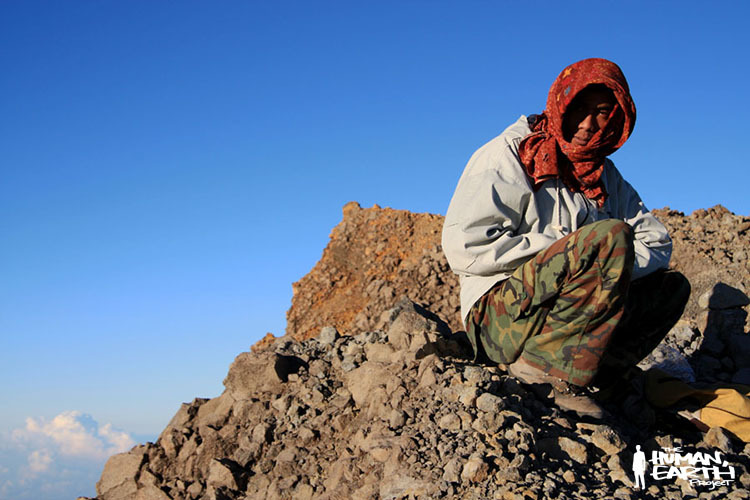 Five years ago, on my way to the summit, I photographed two porters and this man I’d long presumed to be a guide. We should be able to find the porters quite easily; we’ve just received information this evening, however, that the third man may have merely been a traveller like myself, and could be anywhere now. We’ll find out more tomorrow. I’d like to send out a huge thank you to my friend Mireille, who has volunteered to help with French translations of my blog posts. Because she’s not here travelling with us, there will be delays before the French versions are posted online, but they’re coming! Please share this around, and let your friends and family know what we’re doing!